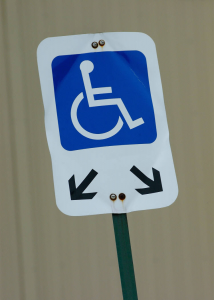 IDA Founder, Wayne Connell is a regular Guest Blogger on Disability.blog by Disability.gov. Article Excerpt: Have you ever seen someone get out of a car parked in a space reserved for people with disabilities, who did not LOOK disabled? Did it make you feel very uncomfortable or even upset? Did you let them know of your disapproval by giving them a dirty look or yelling at them? … Read the entire blog here on Disability.Blog. Published October 31, 2012. Leave your comments on the article and share it with your friends and family on Facebook, Twitter, LinkedIn, Google+ and by email below. Just hope I can help, People just look at me and say he’s as healthy as a horse. So I know that people can be hateful. Hopefully that attitude can be changed. I will soon be 49 yrs old . When I was 21 yrs old I suffered a terrible accident that almost killed me. I had spinal fractures w/burst fractures (all disc in back were crushed) with several other injuries) . I went on through the years trying to lead a normal life working and going through several surgeries including disc replacement in neck and sciatica fusions. The last for years have been terrible for me especially. I have tried so many meds that dont work except make me sick and tired and cloud my mind. I have had injections everywhere to no avail .I have applied for disability in NC and was refused two times. I have written letters from doctors advising I should not work (sitting in chair ) for so many hrs a day.I cant sit for more than 10 min without back pain or numbness throughout my body . I have so much pain but now that I cant work and give to my family what I did throughout the years my son acts terrible towards me and my wife & I are not getting along. I see how people look at me dont understand my circumstances and I am so sick of it. Now I know why people take their own lives when dealing with these things because even your own loved ones make you feel worthless.